*Plus tax, title, license & doc fee 7,500 Miles / year. Unveiled as Volkswagen‚ flagship SUV, the 2019 Atlas brings a whole new dimension to the VW lineup. This midsize SUV is one of the largest overall in its class, providing you with enough space to accommodate up to seven passengers while still affording 20.6 cu.-ft. of storage space in the rear. With the 2nd and 3rd rows folded down, there are 96.8 cubic feet of cargo space. 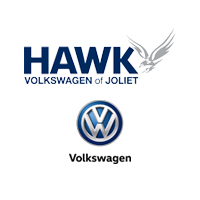 Hawk VW of Plainfield, IL, has fantastic 2019 Volkswagen Atlas Special Offers and deals available now, so if you are considering the Atlas, come claim your offer today! To see which trims we currently have available, browse our inventory, and if you have any questions, contact us here. 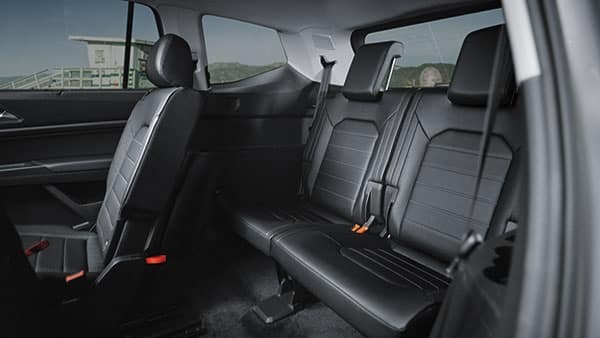 As the largest VW model to date, the Atlas affords significant space to all of its occupants, ensuring a comfortable ride. The Atlas ergonomic cabin has been meticulously designed to be instinctively welcoming, with seating for seven and plenty of surplus storage for additional cargo. The 2019 Atlas comes standard with a 2.0L I4 engine producing 235 HP, partnered with a front-wheel drivetrain. If you desire more power, an optional 3.6L V6 generating 276 HP with available all-wheel drive can be accessed on higher trim levels. Both engines are mated with an 8-speed automatic transmission. Lauded for its ride quality, the Atlas absorbs all those nasty construction zones and potholes in stride, allowing you to focus on more important things. When you add available features like heated and ventilated front seats, Vienna leather upholstery, and the Climatronic three-zone climate control, it’s clear the Atlas was designed to provide you with a superior driving experience. 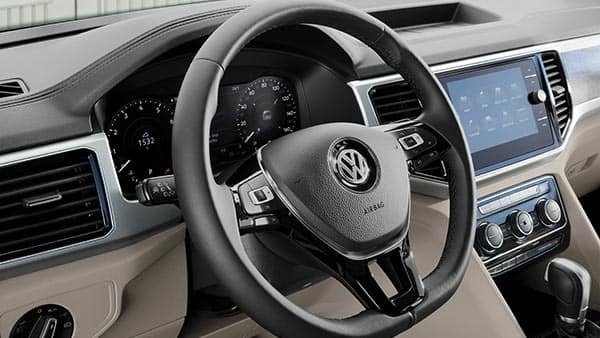 Whether you‚ Are interested in the Fender premium audio system or the futuristic Park Pilot and Assist features, the VW Atlas provides a bevy of options for those who desire a tech-conscious SUV. 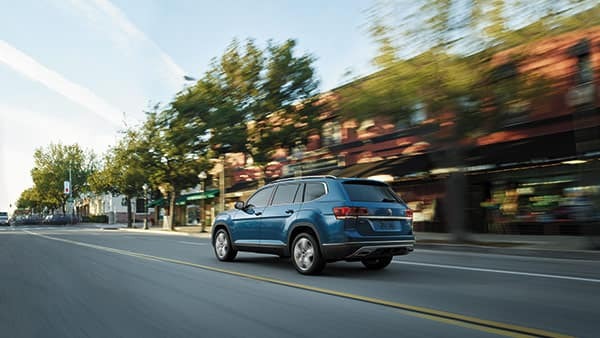 Be sure to read through our Atlas trims page to view all the tech measures offered by this VW SUV. 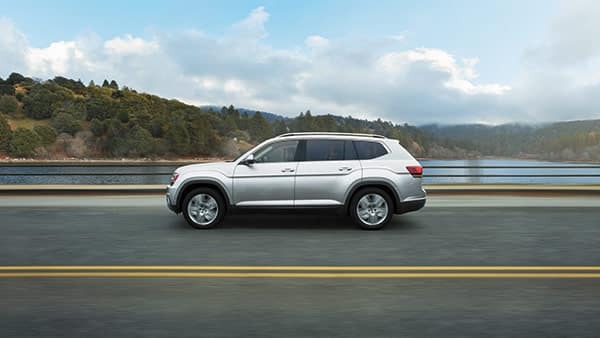 Our Plainfield, IL, dealership has great VW Atlas lease deals available every month, so if you are interested in this all-new midsize SUV, schedule a test drive at Hawk VW. Don’t hesitate, these Atlas specials will go quick! Find the model of your liking in our inventory, and then schedule an appointment online, or by calling us at (815) 741-1100. Get a great value from our Atlas offers, and drive off in this remarkable VW SUV today!